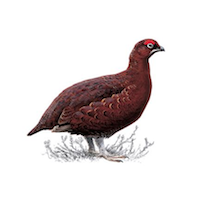 Which wines pair best with grouse? Eating perfectly cooked grouse with a judiciously selected bottle or two is one of the great gastronomic delights. But what to pair with (arguably) Britain's most delicious game bird? Good, old red Burgundy 'The traditional answer to the question of what to drink with grouse is 'a bottle of good, old red burgundy.